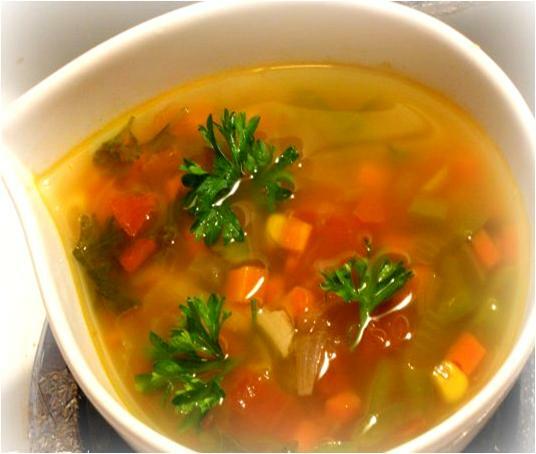 French Vegetable Soup is a colorful blend of many nutritious vegetables. 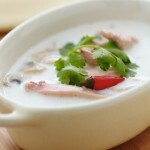 This smooth, rich and aromatic soup is very easy to prepare and can be kept in the refrigerator up to about four days. You can experiment with the ingredients of this yummy soup, depending on the availability of the vegetables. Dispense 6 cups of water into a large non-sticking saucepan and bring it to boil. Now add in 3 tablespoons of extra-virgin olive oil and 2 teaspoons of salt. Use a wooden ladle to stir the water until the salt dissolves completely. Stir in the peeled and diced onions, gold potatoes, leeks, carrots, parsnips, turnips, celery root, fennel, and garlic into the saucepan. Now stop stirring and half cover the saucepan. Let the vegetable mixture simmer for about 30 to 35 minutes or until lightly soft. Remove the vegetable mixture from heat and pour into an electric blender or food processor. Seal well and blend it until smooth and forms a thick puree. Shift the mixture into the pan again and wait until starts boiling. Your French Vegetable Soup is ready; serve immediately! 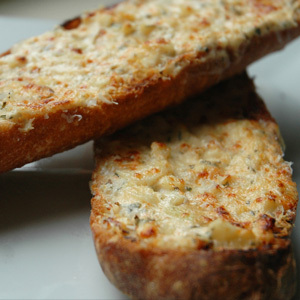 Caramelized garlic onion bread is the perfect way to enhance your food experience alongside any soup.